Rats, mice and other rodents will live wherever they find food – in domestic houses, factories, warehouses, cupboards, underground drains and sewers. Rats can cause damage to structures, consume stored edible goods and contaminate foodstuff with excretion and hair. Rats are known to be carriers of numerous different parasites that are easily transmittable to humans, such as Salmonella, Rat Bite Fever, Typhus, and others. Female rats are able to produce up to 10 litters each year and she has 6–12 babies per litter. These offspring will reach maturity and be ready to mate within two months. Rats are creatures of habit and will memorise specific pathways and use the same routes repeatedly. Rats will constantly gnaw on virtually anything pliable such as wood, electric cables, bricks and ceramics, in order to wear down their perpetually growing incisor teeth. Rats are excellent climbers and are able to scale up walls, traverse drain pipes and use adjacent trees and branches, even overhead telephone cables, to enter any structure. For commercial and industrial rodent control we offer full food safety standard (HACCP) and audit documentation (on request) and our rodent treatment programs are fully compliant. We have a range of rodenticides that we use for rat or mice infestation in different areas, depending on your unique situation and safety issues. For example, wax blocks, liquid bait, tracking powder, rodent paste, mouse repellents, snapper traps, glue traps and some others are used in our process. Our very successful rodent treatments usually involve visiting your property (office/factory/home) more than once. We do an initial treatment and at least one follow up visit to re-bait problem areas. Rats breed so quickly that a once-off treatment is not usually enough to control the rat problem. We recommend Monthly Services in high risk locations. All animal food (for dogs, birds, etc) should be properly stored and not left out in any position accessible to rodents. 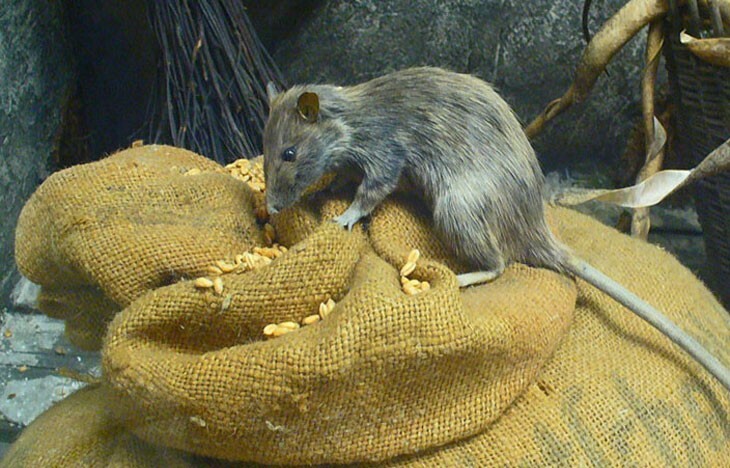 Foods left out act as an attractant to rats. When feeding your animals, rather pick up the leftover food immediately. Ensure that plants and branches are a fair distance from walls or roof outside your property, and do not make contact at any point. These points can serve as ‘bridges’ which rats (and ants) will utilise to climb and gain access to your premises. 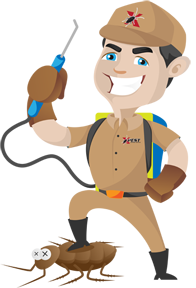 Be sure to close up any and all potential points of access, including gaps around pipes where plumbing enters the building. Also check for gaps in the back lining of cupboards and seal up wherever it seems necessary. Also ensure that no food is left out on counter tops, or in the sink overnight. All food should be stored in durable sealed containers and inside cupboards.